This is the third of four articles in a series about college admissions. Hopefully the information included will increase your confidence in overseeing your child’s college search and application process. In this installment I’ll be addressing standardized testing, disability accommodations, and financial aid. Part one covered what you should be doing and when. In part two we discussed the different types of applications and what colleges are looking for. Just the thought of standardized testing often overwhelms students and causes them high levels of anxiety. I can understand that. So much emphasis is placed on its importance for college admissions and it is so thoroughly impersonal—the opposite of the homeschooling philosophy they’ve grown up with. Young people work really hard learning and improving, and proving themselves to adults, and then it seems like that lifetime of experience and effort is fairly meaningless to colleges relative to how well the kids do on a single test. No wonder there’s so much angst about this subject. Regarding the question I’m asked by almost every student, “Should I take the SAT or the ACT?” I’m first going to refer you to a previous iHomeschool Network article by Jean Burk entitled SAT vs ACT, the Real Truth. She did a really nice job breaking down the similarities and differences between the two tests so there’s no reason to reinvent her wheel. Then I encourage you to seek out local test prep companies, preferably in the first half of 11th grade. Not because I’m recommending fee-for-service test prep for your child (I wouldn’t do so without evaluating them personally), but because many of these companies offer FREE practice administrations of the SAT and ACT! Sounds crazy, I know, but it’s true. Clearly they’re hoping that you’ll opt in with their classes or private tutoring after getting the results, but there is no obligation to do so. That’s why I think all college-bound students should take these quasi-official proctored versions of both tests. It’s really the best way to see which one is a better natural fit and the scores are confidential. In case you’re wondering how the PSAT compares to a full practice SAT, the PSAT does not include an essay portion, and the questions are designed for students who’ve had one year less of instruction in math and English. The practice SATs/ACTs, however, are legitimate, full-fledged tests that often include an essay (each company runs their program as they see fit), so it’s much more like the real deal. On the subject of test prep: Of course you could go with the local company you contacted for the free practice test, you could buy your son or daughter the massive study guides at a bookstore, you could pay hundreds or thousands to the big names, OR you can have your kid start with Khan Academy online. It’s free! (I like free, have you noticed?) They’ve partnered with College Board to create an individualized study program that first tests a student’s knowledge in the various subject areas and then lays out a course of study focusing only on their gaps in knowledge. It saves time and irritation by not rehashing what they already know. If in the end there’s a particular item they just can’t master online, then that’s the time to consider getting more help, like a tutor. Should your child take the real test “with essay?” you wonder. Yes. Most colleges don’t require it. Most don’t even look at it. But what if they want to apply to a school that does require it? They can’t just go back in and take the essay portion separately, they’d have to take the whole test over again to come up with that essay score. You pay again, they have stress again, it takes up your Saturday again. Just do it the first time and eliminate that potential hassle. 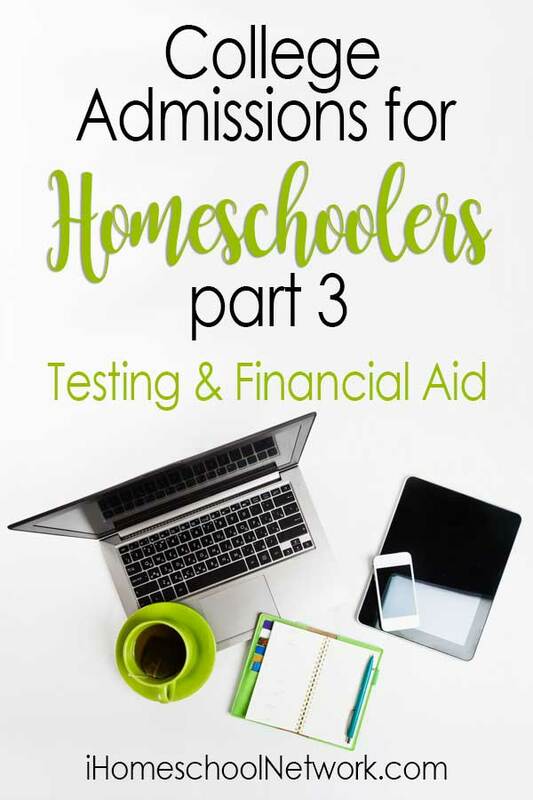 And it’s important to realize that choosing one or the other for the “main” test is only a small part of the discussion about standardized testing for homeschoolers in relation to college admissions. Depending on how you’ve built your child’s program, using other College Board test products (and they are products), like the Subject Tests and APs, can be highly beneficial for a homeschooler’s chances of being admitted. All of my homeschooled clients who’ve gotten into schools like Duke, UCLA, Barnard, etc., have taken a large proportion of their academic classes at community college and most of the rest through accredited programs (preferably AP or Honors level), or at the very least, they scored high on the Subject Tests in several areas after self-study. A parent-generated and evaluated course is legally adequate to earn a high school diploma and technically, to check off an A-G box on a college application, but it doesn’t satisfy the rigor requirements for most colleges. It may be that your standards are very high for your child, but they have no way of knowing that. Without some kind of objective testing measure, colleges just have a hard time trusting that the student is performing as highly as your transcript suggests. Don’t forget that scores must be sent directly from the company to be considered official. Self-reporting on the application is not sufficient! You will have to send to each college separately and it is the family’s responsibility to do so. A college will usually remind you once by email if the score isn’t received close to the deadline, but if it doesn’t show up on time, they just set your child’s application aside and forget it. There are colleges that say they don’t require standardized testing. You can find a list at FairTest.org. A student who attended an accredited high school can likely get away with not submitting scores for the SAT or ACT, but even they will have a stronger application is they submit Subject Test scores or AP scores, which means that the colleges are somewhat disingenuous for calling themselves “test optional.” It’s technically correct that they don’t require them, but it glosses over the fact that some scores still increase the odds of actually getting admitted. Therefore, for homeschoolers, submitting Subject Test and/or AP scores is just as crucial for competitive test-optional schools as for test-required schools. And sometimes those colleges who allegedly don’t require SAT or ACT scores from traditional students still require them from homeschooled students anyway, so don’t be caught off guard. When should your child take the SAT or ACT? I mentioned in Part 1 (Timeline) that I usually recommend a student take it toward the end of junior year because that gives them ample time to study and improve for a fall administration, if necessary. APs are obviously taken at the end of the class. Subject Tests should be taken as soon after the end of a class as possible so the material is fresh. And logically, most colleges will only accept scores from tests taken through late fall/early winter of senior year so they can have them in time to consider the application within their typical timeframe of late winter/early spring. Important exception to this rule: If a college has rolling admissions (see Part 2), they will be evaluating applications as soon as they get all the components. So this means that as soon as the online application is submitted, they’ll be looking for counselor and teacher recs and test score verifications to come in ASAP. And they’ll be admitting students from Day 1 (usually in August or September at the latest). This means that taking the SAT/ACT in November or December, while technically allowed, places your child’s application way, way down on the list for consideration. If the school is going to admit 1000 students (random example) then the students who got their stuff in by September or even October are vying for 1000 spots. If someone doesn’t get looked at until December or January because they’re waiting on scores from a winter testing administration, they’re among all of the later applicants who are vying for the remaining 200 spots. I guess the bottom line is “earlier is better than later.” And I would say this is true for all applications, not just for the schools with rolling admissions. Many years ago I had a student not get his app in by the deadline because he smugly (and anxiously) waited until the last day and then the online system was so overtaxed that his application just never finished sending. He was upset but I’d warned him about it. And colleges are unforgiving with deadlines. Earlier is better than later. There are as many reasons for homeschooling as there are families doing homeschooling, but in my experience, at least some parents choose this route because their child has exhibited behaviors or learning challenges that aren’t addressed very well in a regular classroom. Had those students stayed in the public education system, they would almost certainly have been eligible for an IEP (Individualized Education Plan) or the similar 504 Plan. These documents are contracts between the school district (who is accountable to the State Department of Education) and the parents, and they list the “accommodations” and additional services a student should be getting from the school (plus the student’s annual goals, for measurement of progress). Common accommodations or services are things like extra time on tests, shorter assignments, and sitting in a certain spot in the classroom to help with either visual or hearing issues or attentional difficulties. Less common are services like therapeutic counseling on campus, a one-on-one aide in the classroom, occupational therapy, or even being sent to a specialized school, when necessary. Obviously, many of these things cost a school district extra money, so parents have to fight to get the services approved. It’s not unusual to hire an “advocate”—a lawyer or other professional who specializes in making a successful case for accommodations and services. I understand why at a certain point a family might just decide that our public school system isn’t living up to their mandate of serving all students and just takes matters into their own hands through homeschooling. The good news is that some accommodations are available in college as well! The bad news is that they are very meager compared to what is offered in K-12. The reason is that youth are covered under IDEA (Individuals with Disabilities Education Act) until they graduate from (or age out of) high school. From then on they’re protected by the ADA (Americans with Disabilities Act) instead. Under the ADA, each college is legally entitled to determine what “reasonable accommodations” they will offer a student. Some of those first accommodations I mentioned (extra time on tests, preferential seating) are fairly easy to qualify for. (More about that in a minute.) But anything that alters the workload is not going to be approved. In college, the purpose of accommodations is to provide adjustments to address the student’s challenges but beyond that, students are expected to perform at the same level as all of the other kids. No shorter assignments, for example. No easier grading. No cheat sheet of formulas on a test if other students don’t get one, too. Basically, special ed accommodations in K-12 are designed to do whatever is necessary to drag the student to their diploma, even if that means making their work easier. Accommodations in college are intended to level the playing field and then student performance, achievement, and work completion on par with their classmates is their own responsibility. Some colleges offer extensive support programs for students with disabilities, but these pretty much always cost extra. There are even a few (very few) colleges that are focused exclusively on students with issues like learning disabilities or attention deficits. You can find them by doing research online or even better, contact a college counselor who specializes in special needs students. If doing your own research, search for things like “college learning disabilities.” You’ll get a bunch of lists. But many programs don’t make the lists or receive widespread recognition, so whenever you look at a specific school, be sure to find their disability or accommodations page and see if they have any special groups or programs that are under the radar. On the other hand, if you’re researching a school and it’s really hard to find the disability support page, or their description uses wording like “complies with federally required standards of supporting students with disabilities,” you know that they do the bare minimum and that’s probably not what you’re looking for. To qualify for any of these programs, your kid’s going to need what schools call “current testing.” This is one disadvantage of homeschooled kids not being on an IEP. For public school students, sometimes their IEP is enough because school districts are required to do a triennial “psych-ed eval,” which is comprehensive testing and a write-up to determine the student’s academic and social-emotional functioning. Many college disabilities programs want this report, and if you don’t have one because your child wasn’t in public school, you will have to pay someone—usually a licensed clinical psychologist (PhD level, not MA level)—and at least in California these typically cost $3k-$5k so it’s no small consideration. As I mentioned earlier, accommodations at the college level are meager compared to what a student would have experienced in high school. Perhaps the largest gap in services is the fact that colleges still only provide support within the classroom, not even in the dorm setting. In a way this is understandable because they’re institutions of higher education serving clientele who are over 18 and are therefore legally adults, they’re not a babysitting service for minors (which is part of the K-12 role). Historically, students only attended college if they were ready not only for the academics but were also ready to function independently enough to be successful away from home. But today’s students are, on average, less ready to function autonomously. (I blame cell phones and a few other things, but that’s another conversation). So kids go away and live with hundreds of other 18 or 19 year olds, who happen to be complete strangers, with no adult supervision or support, and it doesn’t work a lot of the time. Trust me, many of them feel this so-called “full college experience” that adults touted is actually a bunch of b.s. because they really just feel overwhelmed and anxious. And this doesn’t only apply to students with special needs. Kids not being ready to make both leaps (academic and independent functioning) is the rule rather than the exception these days. But colleges haven’t successfully adjusted to that. They’re all expanding their mental health counseling programs and that kind of thing, but the everyday support for learning to function as an adult is entirely absent. Outside of the possibility of going to a weekly counseling session, students still have to handle all of their business independently. I just wanted to make sure everyone understands that. When colleges talk about “disabilities support” they are talking about in the classroom or during scheduled meetings with tutors, etc. Unless you send your child to a specialized college (e.g. Landmark in Vermont), they’re going to be spending a lot of their time trying to figure things out on their own, with very little assistance. I know this is part of growing up but we have to honestly evaluate how much of a leap in independence is right for each young person at any particular time on a case-by-case basis and not assume that a certain age means something, or because we were ready right after high school that means they should be too, or any of those angles that doesn’t honor your child’s actual needs in the moment. There are a few dorm alternative programs, like College Internship Program and College Living Experience, and they are great for the right kids. But this level of residential support is rare. Depending on your child’s readiness to start college, there is a unique and wonderful school called Thames Academy in Connecticut. The only one of its kind, as far as I know. It’s a pre-college year (instead of a post-grad year, which is offered at many boarding schools—also not a bad idea). Students take English comp and some other prep classes and are highly supervised but they get to live in a dorm setting and participate in campus activities like the “regular” college students. There’s such a need for this, I don’t understand why these programs aren’t popping up all over the place. Financial aid. Quite possibly the most dreaded part of college admissions, and understandably so. Student loan debt is killing an entire generation and will have long-term repercussions for our country, not just those individuals directly involved. Affording college is a problem I can’t fix, but I can start to demystify the process and elements and hopefully that helps. The vast majority of financial aid comes from federal and state sources. Parents should fill out the FAFSA (Free Application for Federal Student Aid) during the same timeframe that students are completing their applications. Please be careful to only use the official government FAFSA form. I have sent too many people the link and said “use this link” but they insist on just Googling “FAFSA” instead and then they end up giving all of their information to some scammy company that showed up at the top of the search results. When the system is working optimally, it will give you the option of connecting with your IRS records so you don’t have to enter all of your tax information but at least half the time they’re not allowing this and in that case, you’ll have to do it manually. It’s an inconvenience but not a big deal. They’re going to look at your prior-prior year tax info. This means that if you’re applying in fall of 2018, they’re going to look at your taxes for 2016, not 2017. Depending on when you read this article, you can do the math. People seem to think there’s some magic way to report your income and assets to get more financial aid and I think that’s a horrible idea. The right answer is the truth. If you wouldn’t lie on your taxes, don’t lie on your FAFSA. They have basically the same resources at their disposal so don’t get into a fraud situation here. I know there are ways that you can move assets around several years in advance in order to optimize your figures to some degree but that requires the assistance of a financial planner who specializes in educational savings. I have one I refer people to here in Los Angeles but it really applies to very few families. However, if this idea interests you and your child is in middle school or younger, check out your local professionals to see if someone can give you useful advice now, not later. But even if you’ve strategically stored and shuffled your assets, when you fill out the FAFSA, be honest. After submitting your FAFSA, you’ll be informed of your EFC—Expected Family Contribution. This is the amount the federal government believes you “should” be able to afford toward your child’s college expenses next year. This number is almost always way more than the family thinks it can afford, of course. But it’s an important number because it will come into play at all of the colleges your child applied to. (Fortunately, if you have more than one child in college at a time, the EFC does not increase but remains the same, and therefore you’d be eligible for more aid because your tuition expenses are double or triple, etc.) Google “EFC calculator” to get an approximate figure, if you’re interested. Your FAFSA is sent to every college your child applies to and if they’re accepted, the college uses the FAFSA to determine the “aid package” they will offer you. Even colleges that say they cover “all demonstrated financial need” don’t mean they’re giving everyone a full scholarship, it just means they’re going to offer you a package that includes enough to cover tuition and maybe room and board minus your Expected Family Contribution. Some of that aid offer might come in the form of loans. Unless paying the loans back will be easy for the family, try to avoid them. And students taking on the loan payments is like the kiss of death for their future. You might think I’m being overly dramatic so don’t take my word for it, do your own research on this subject. NO LOANS FOR STUDENTS unless there is absolutely no other choice (and there is almost always another choice, even if they have to go to community college first to save money). Tip: Be sure to list the most expensive college first because that’s the school they use to determine how much money to potentially set aside for your child. If your kid applies to NYU and only end up going to community college, he’ll only get community college money. But if you put the community college first and they go to NYU, there won’t be enough held in their government account to cover your demonstrated need at that school. For most families, cost is a real consideration when choosing a college. Don’t get in over your head because you’re succumbing to peer pressure of other people’s kids going to a “better” college that you can’t really afford. Not jeopardizing your retirement or basic quality of living and not saddling your child with crippling debt are more important than the name on their undergrad degree. So you’ll get the acceptance letters and “financial aid award letters” together, then your family should decide as a team what the best option is, in terms of what’s affordable and all of the other relevant factors. States also offer financial aid. Many will allow you to send your tax information to them as part of the FAFSA submission process but if yours isn’t one of them, be sure to fill out the form separately. In California, students can get potentially $5k or more a year from the state alone, on top of what they get from federal, so it’s definitely worth the effort. There may also be special tuition programs for low-income families at your local public universities. For example, California residents with an Adjust Gross Income under a certain amount are eligible for free tuition at University of California campuses, sponsored by the state. This is called the Blue & Gold Opportunity Plan. (Notice I said “tuition.” There are hardly any that also cover the room and board.) If you’re not in California, dig around the financial aid webpage for your own state university system to see if they have something similar. After government aid you have “institutional aid.” These are the scholarships (essentially, tuition reductions) that come from specific schools, offered only to students who are attending that school. (And almost exclusively from private colleges, usually from an alumni endowment.) Most of it comes in the form of “merit aid,” which means the student is rewarded for something like a high GPA, or leadership activities, or submitting an art portfolio (even if they’re not an art major), or a certain number of years playing their sport, etc. They often have names like “President’s Scholarship: $5k/year for having over a 3.7 GPA.” These will also be noted on your financial aid award letter from each college. It’s true that you can negotiate aid from private colleges. If your #3 college is offering more scholarships than your #1, call #1 and tell them that cost is going to be a factor and you’d love for your son or daughter to commit to them but you need them to match the offer from #3. It works more often than you’d think. But don’t call in April and expect them to have money left. Earlier is better. I keep saying that, but that’s because it’s true across the board. Earlier is better. Then there are private scholarships. These are a legitimate thing but I also see way too many parents who misinterpret what’s really available. They say, “There’s a scholarship for being left handed. There’s a scholarship for having McIlvaney as a last name. There’s a scholarship for making a dress out of duct tape. There’s a scholarship for everything!” And while it’s true that there seems to be a scholarship for just about everything, what they fail to realize is that there’s a scholarship for everything. Meaning one. Most of these scholarships get hundreds if not thousands of entrants and they are going to award just one. Each scholarship application requires an essay or poem or submission of an art portfolio or something like that. You have to decide how much time and pressure your child can stand in terms of writing and submitting essay after essay to have a one-in-four hundred or one-in-a-thousand chance of winning $500. They’re supposed to be keeping their grades up, too, and even enjoying the last bit of time they have with their childhood friends and activities before almost everything becomes unrecognizable in a few quick months. So be realistic and sympathetic in your evaluation of how many of these private scholarships you push your child to complete. Check out Fastweb or Scholarships.com if you want to see the kinds of things that are out there, and just Google “art scholarship” or “dance scholarship” or whatever you think fits to find others that aren’t on the clearinghouse sites. Depending on which private colleges your child applies to, you may have to fill out and pay for another College Board product called the CSS/Profile in addition to a FAFSA. Cue horror film theme music. Just kidding. Sort of. No really, it’s just much more in depth than the FAFSA and is different for each school, so there’s no way to give you a standardized answer about what to expect. I’ve seen it ask for everything from a narrative of how the family uses their discretionary funds toward extracurriculars and other enrichment (like travel) to wanting verification of monthly household expenses to asking how often someone else picks up their tab when the independent student (age 26) goes out for dining or entertainment. So you can see, it’s all over the place. But it’s always going to be about money. The form is for the colleges who’ve decided that bottom line numbers like taxable income and assets isn’t enough detail to truly understand a student’s financial situation. Which is true, when you think about it. In fact, except that it’s more work for applicants, I think this is a far better system because when the federal and state agencies figure your Expected Family Contribution, they do so on a state-wide basis, not taking into account that living expenses vary even within the same state. That means the cost of living and financial needs of families who live in San Francisco is assumed to be the same as for families who live in Temecula, which is of course ridiculous. So the CSS/Profile is better than just the FAFSA for getting to the true picture of a family’s financial situation. Be sure to check the list at the link I provided above to see if you need to submit this form. If you don’t, you won’t be considered for any financial aid at those colleges. Related to financial aid is another small form of assistance (but everything helps): fee waivers. If your family’s income is low enough, you could qualify for fee waivers for both the online college applications and the SAT (main test and Subject Tests) or ACT. Guidelines change each year so you’ll have to do some research about whether this might apply to you, but considering the SAT with essay costs $64.50 in 2018 and the average college application is at least $50, not having to pay those fees several times over could be tremendously helpful. This has been the third article in a series. The fourth and final installment will focus strictly on college admissions considerations specifically for homeschoolers. Crystal Hope Reed ha s been taking the drama out of college admissions since 2003. In addition to general admissions she also has extensive experience with homeschooled and special needs students. She works in the West Los Angeles area (or via phone, email, or Skype with students who live elsewhere). 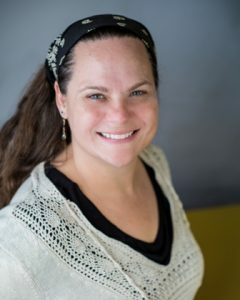 Contact her through her website: NoDramaCollegeCounseling.com.